Inform responsible personnel about occurrence of events using many different channels and options. 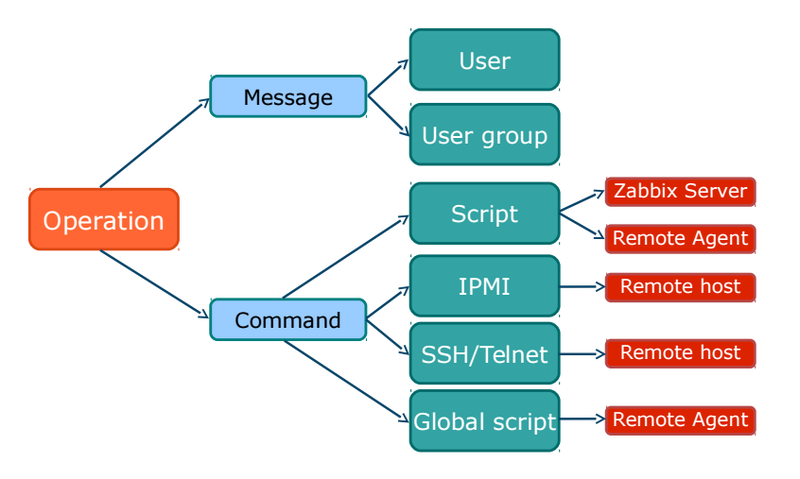 Zabbix provides a complete workflow: sending notifications, allowing acknowledgement of information received, escalation of information to other people, and ability to take actions. Furthermore, notifications can be scripted. Notification content is completely customizable depending on the context. Each contact can be notified for specified levels using specified media at specified days and times. See the user macro section for more details. When sending a message to a specific user or user group, the message about the same problem can be customised to provide a different set of information depending on the role of recipient within an organization. Shell commands can be executed on the remote system to remedy a situation where a system may be overloaded or services stop working properly. The most typical command to use is for restarting a server or services. More information about remote execution of commands is available in the manual. 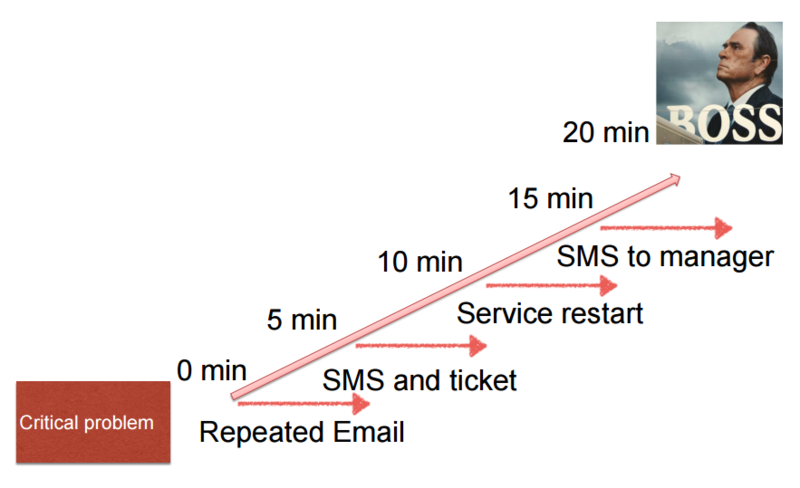 An escalation contains a scenario that represents a timeline for sending notifications, first to an initial recipient, then, if the problem persists or no acknowledgement is made, to other recipients and even executing commands upon necessity. 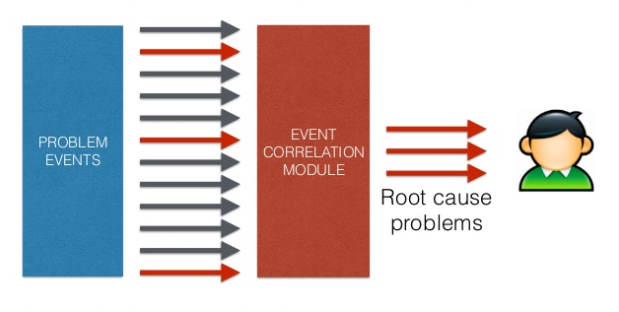 Zabbix provides effective and extremely flexible escalation building rules. Depending on the setup, Zabbix will automatically escalate (go to the next escalation step) unresolved problems and execute actions assigned to each escalation step. Escalation history can be included into notification messages, so that the current recipient sees what has been going on and why he has received this message. Why on Earth Was I Not Notified!? Zabbix Conference 2013: Why on Earth Was I Not Notified! ?